Deegan as Nemo, he loved his costume and wore it for like 3 days! She is pretty proud of this new backpack! 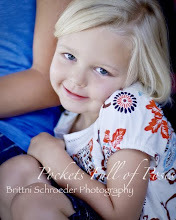 Brynn getting ready to go to her first day of kindergarten! She had a little bit of a hard time when it was time for me to leave her at school today but she did it and had fun at school with her friends! 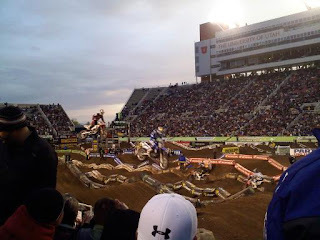 We went to the supercross in Salt Lake a couple weeks ago and had so much fun!! There was me, my mom, dad, Jason and Jono that all sat together. It was so much fun and we had some pretty good seats too! 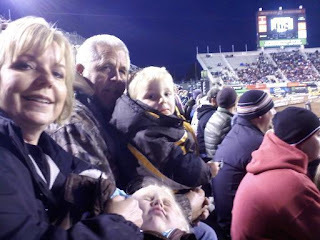 Grandpa, Deegan, Grandma and Brynn. 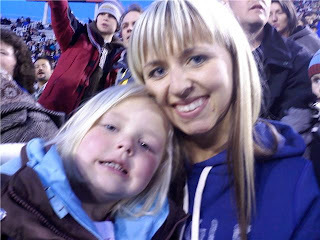 Deegan loved it and Brynn....well she liked it ok! 1. Got Brynn ready for school. 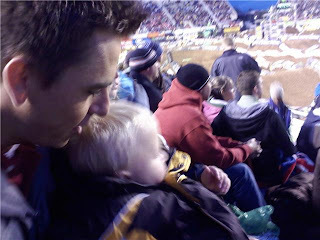 2.Got Deegan ready so he could hang out with my dad. 3.Went up and got my eyeliner tatooed. 4.Went to lunch with Kim and Jono. 6.Came back to Delta and picked up my kids from my partents. 8.Got the kids in bed. 1. Fixing up my house. 5. Sometimes going to work so I can get out of the house!! 6. Watching all my tv shows. 7. Taking my kids camping when it warms up. 3. Raise my kids good! 4. Spending more time as a family. 5. Being a better cook! 7. For my kids to be happy and healthy. b) think you've already been tagged by someone else... don't be offended! 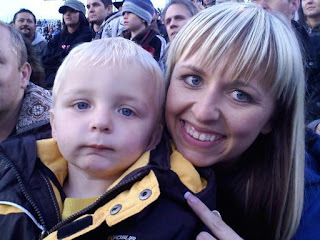 Tuesday night we had to take Deegan out to the hospital. 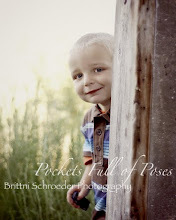 He ended up having RSV and we stayed there until Thursday evening. This is how they got him to hold still so they could get a chest X-ray of him. Pretty weird looking! This was right after they got done putting his oxygen on and his i.v. in. I took a picture and he rolled over and said "cheese"! Part way through getting his i.v. in he kept telling them "i done, i done". It was pretty sad. But he is doing so much better now. We are so glad!! We just wanted to wish Jono a Happy Birthday!! We hope you have a great day and we will have to have a party when you come down this weekend! Brynn and Deegan say Happy Birthday and let you know how much they love you and how much fun they always have with you!! Your a great uncle and brother. Thanks for all you do for us!! Have a great birthday!! Well.....Today I was trying to clean up my house and I was doing a few dishes while the kids played downstairs. After a min. it got a little quite down there so I went to check on them....They were nowhere to be found. I look all over downstairs and back upstairs and downstairs again, then I went outside, in the garage. So I went back in and got some shoes on and went outside again and I could see some little footprints in the driveway so I followed them and they kept going and going out along the side of the road all the way down to Brynn's friend Ali's house. So while I was walking down the road a guy pulled over and asked if I was missing two little kids and he told me that they were over on the porch of Brynn's friends house. (they were just waiting there for someone to come home. Oh and by the way Brynn had croc shoes on with no socks and Deegan just had socks on. So.....they are both in a little bit of trouble!! But Brynn told me that she didn't make Deegan walk the whole way she carried him part way!! (like that makes it better:) So when we got home their poor little feet were bright red and freezing cold, so we sat by the fire and warmed them up. Chad and I have been married for five years. 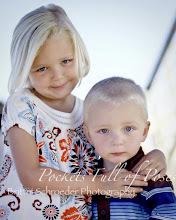 We have two great kids!! Brynn is 4 and Deegan is 1. We live Delta and things are great!